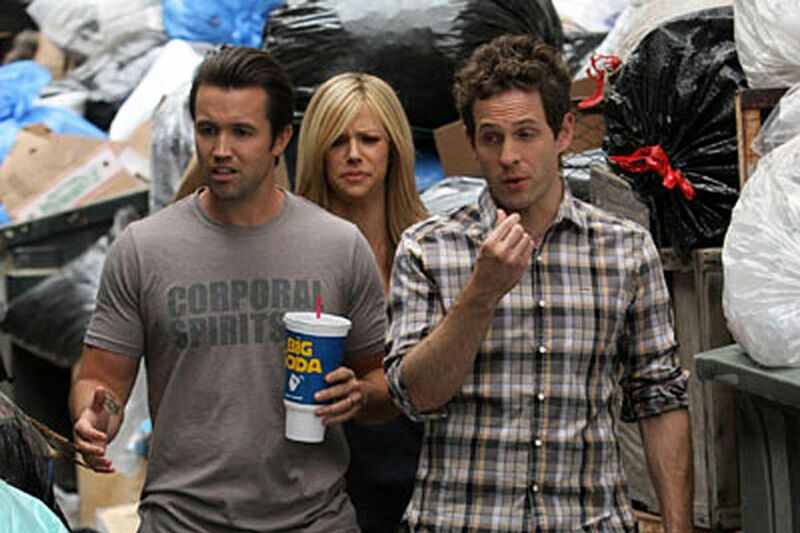 Rob McElhenney, Kaitlin Olson, and Glenn Howerton in a scene from FXX's "It's Always Sunny in Philadelphia," whose 14th season is expected to air later this year. PASADENA, Calif. — How long can the gang of It’s Always Sunny in Philadelphia continue to get up to mischief? There may be no end in sight for the series created by St. Joe’s Prep grad Rob McElhenney, who stars with fellow producers Charlie Day and Glenn Howerton as well as Kaitlin Olson and Danny DeVito. With the series entering its 14th season later this year on FXX, I asked John Landgraf, CEO of FX Network and FX Productions where he was in thinking about a 15th, and about what the long-running comedy, which started out on FX, meant to helping develop the brand of a network that marks its 25th anniversary this summer. Part of the early strategy for FX was to produce things people wouldn’t find on more familiar channels, he said. Part of that was “deconstructing” a genre, as The Shield, for instance, did with police dramas. “I’d say Sunny was … the first successful deconstruction, and reconstruction,” of a situation comedy," Landgraf said. “But the thing that’s amazing about it is that those five really hilarious degenerates at the center of it are the most active schemers you have ever seen. They care so deeply about stuff that no one should care about, they go so far out of their way to achieve nothing that they drive the story,” he said. As a result, they’ve taken on all kinds of issues and continued to push themselves, Landgraf said, citing McElhenney’s character’s “crazy, awesome dance sequence” from last season. “From my standpoint, they made some of the best episodes of Sunny that I’ve ever seen this year. And I think that’s my answer to you." As long as the network and the show’s producers can come to a business arrangement that works for both sides, and as long as there are stories to tell, “I’d say there’s a good chance it might go past Season 14,” he said.